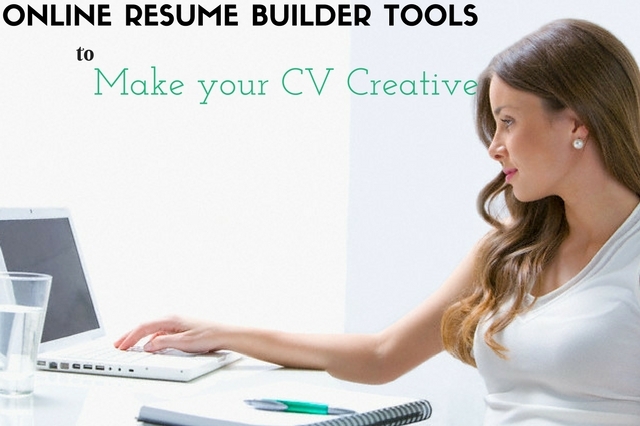 Here are 10 different tools that are going to turn your resume from suitable to superb! If you are still laboring under the notion that a single-page good resume is all you need, then think again. The tools below will allow you to add page after page of solid gold, and if you engage your creative juices, you will easily create an unusual and effective resume that guarantees to knock the socks off your next employer. You are not going to see many resumes with mind maps on them, yet they can be a very powerful addition to your resume. You might add a Mind Map showing the jobs you have had with lines coming off showing your experience, and with lines coming off them that show the skills you have acquired. If you want a creative and unusual resume, then find a way to add a mind map. Here are 7 tools you may use on the web: Some are the downloadable softwares, and some are browser extensions. You should add a photo to your resume. The HR department is going to look at your Google+ and LinkedIn profile anyway, so they are going to know what you look like. Add more than one photo, especially if it shows you doing your job or doing something noteworthy. Add a few photoshopped images if you have the skills. Here are 5 editing tools: Some are more advanced than others are, and some are considered to be photoshopping programs. There are paid and free tools in the list below. It is not uncommon for people to build a resume into an Infographic. You can do the same if you wish by using an Infographic template. You may create an Infographic as part of your resume, such as an add-on/addendum page. You may show your future employer what you are like, what you enjoy, and what type of person you are with an Infographic. Take a look at HubSpot’s 10 Infographic Templates and see if there are any templates that suit your needs. Here are a few Infographic tools. Consider turning part of your resume into a magazine cover. There are some people who have turned their entire resume into a magazine. Consider turning your resume into something other than just a resume, but remember to keep it in a digital format so that you may email it to your future employer. This graduate made his resume look like GQ magazine, and there is a Canva tool that allows you to turn your resume into a magazine cover. If your future employer is going to look at your LinkedIn profile, then make sure it is as good as your current resume. With that in mind, why not put all of your work into your LinkedIn profile and turn that into your resume? After all, your LinkedIn is simply an online resume, so why not convert it into your regular resume that you send to employers? Put plenty of effort into your resume to ensure it includes as much information as possible, to ensure it is well written, and to ensure it doesn’t cast you in a negative light. Once you have worked and re-worked the written content, pay a little attention to the type of fonts you use in your resume. Using just one font may not be a good idea. There are plenty of font generators, but be careful with them because there is a chance the recipient’s computer will not be able to read the code for your newly generated fonts. There are plenty of font pickers, such as Type Genius that will help you pick the best fonts for your resume. There are plenty of studies that both prove color is a powerful influencer and prove that color isn’t a powerful influencer. Nevertheless, if there is a chance that color influences people, you should take advantage of it. Use online tools and take a long time to pick the correct colors for your resume. Experiment and keep tweaking your resume design until it is perfect. Try ColorZilla if you need help picking the best colors. Most employers and HR departments are people that use the Internet quite a bit. That being the case, those same people are probably used to seeing memes. Why not use this to your advantage? You may show your funny side, you might show your creativity, and you’ll make good points that are hard to ignore. You may feature pictures of yourself, if you wish. There are plenty of popular meme generators online and available for download. Try to avoid the tools that place a logo on the meme (Unless you are willing to edit off the logo, which is usually quite easy). If you post content online and you receive positive reviews, you should take screenshots of those reviews and add them to your resume. You should take screenshots (screen prints) of the positive things that people say about you and paste them onto a page on your resume. Do not make the mistake of writing a single-page resume. Make sure it has numerous pages, and one of the pages should be a big list of reviews/positive comments about you and your work from people on social media. Most mobile and desktop devices have a screen print function already installed. If you really wish to make a difference and stand out from the crowd, then make a short video about yourself. People do it all the time when they apply for spots on reality TV shows, so why not do it yourself. If you really want to stand out, then consider making a video. Obviously, if you have trouble making a good one, then forget it, but at least give it a try using the camera on your Smartphone. Here are a few editing tools to get you started. About Author: Stacey Marone is a writer for essays.scholaradvisor.com and a journalist focused on convincing people they can achieve almost everything they aim for. Personal motivation is an incredible driving force that not all of us understand. Her goal is to help people recognize their own potential. You can follow her on twitter.